With a brand new year comes brand new events to check out and, arts and culture fans, we’ve rounded up plenty to keep you busy this January. From the sixth edition of the Quoz Arts Fest, to niche cinema, contemporary art and even pottery, there’s plenty to cram into the month. Here are five cool cultural events to check out this month. Now in its sixth edition, this weekend extravaganza is a celebration of all things art and culture. From gallery exhibitions to music performances, the event is free and open to all the family. Highlights include a dance programme, curated by Sima Dance Company, as well as buskers and DJs entertaining crowds. There’s also a pop-up market selling locally made items and an art shop with a range of affordable artworks. Reel Palestine, the UAE’s only film festival dedicated to Palestinian film, is an annual event organising pop-up screenings in the UAE from January 19 to 27. The eight-day festival shows a selection of alternative films ranging from shots to feature length productions. Don’t miss the evening of award-winning shorts including Ayny, a story of war and hope, Beneath the Earth, an insight into the Palestinian indie music scene and A Drowning Man, a tale of a man in exile. It’s the last month to catch an unmissable showcase of Hassan Sharif (who died in 2016). Hassan was the UAE’s most famous contemporary artist. 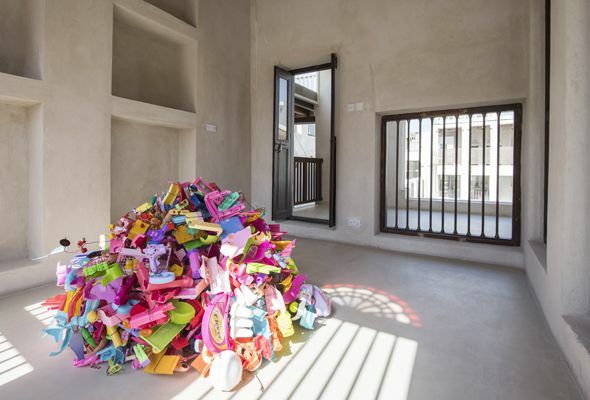 Affectionately known as the grandfather of UAE contemporary art, he became known for his giant sculptures made from everyday items such as slippers, fabric and cotton. This exhibition features work from his entire career. 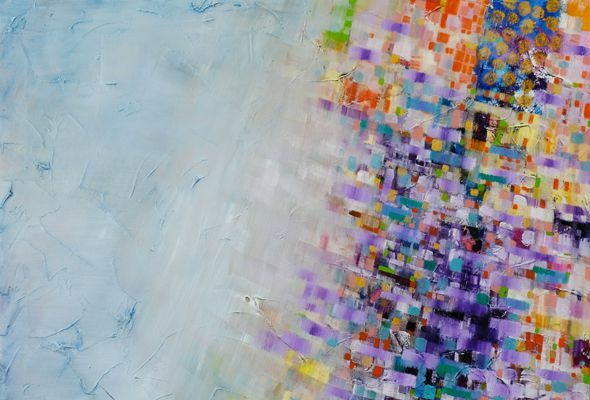 With her first solo show in the UAE, Bahrani artist Areej Rajab brings a series of work called Limitless that explores colour and lights as well as abstracted landscapes. Her artwork is made up of several layers of paint that she applies over several visits to the canvas and the beauty of the pieces comes in the subtle character of colour and the fleeting nature of light. Yadawei Pottery Studio is a tucked away gem in Al Quoz. 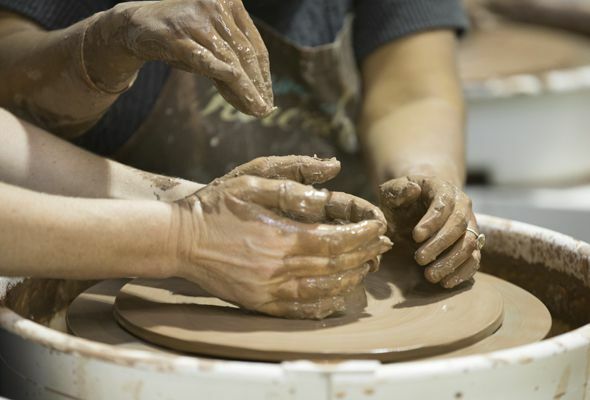 It offers daily evening courses for those with different levels of pottery experience. If you fancy trying your hand at throwing some clay and learning how to make pots with lids, this weekend course offers full tuition and all materials.